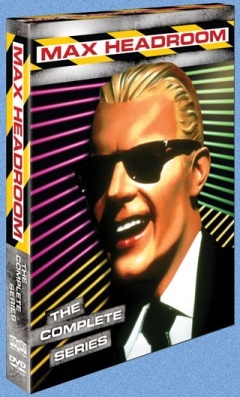 In his era and beyond, Max Headroom was virtually a standalone definition of every version of the word "video" - but his history on video is a puzzling mess. 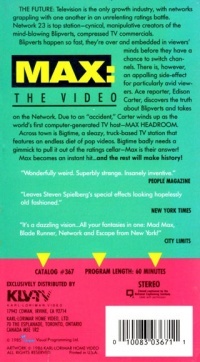 Max is video. It's as simple as that. He was born into a fictional world where video is all, even most of reality... and he was created for an era when "videos" on the telly were the hottest market in all of media. In both cases, he ruled all he could see, and all those who could see him. But in a pre-internet, pre-streaming, pre-OnDemand world, video could only exist in two forms: that which was broadcast or cabled to your set in realtime, or on hard, fragile and fairly primitive memory storage devices... VHS tapes. Which meant that someone had to produce them from TV shows and movies, and then sell them across counters like ham sandwiches. 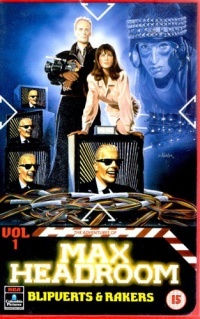 Max had all the handicaps of being a television creation, which made him harder to package and sell in the expensive, short-duration recording era. Those limits put most TV shows well below true cinematic offerings from video rental stores and sales outlets. 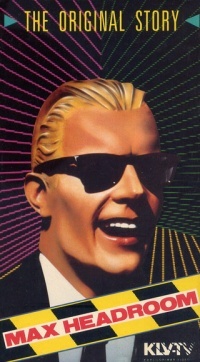 Television shows were only irregularly brought to VHS release because of cost considerations, since only four half-hour or two one-hour shows could be put on a single tape. The poster child for "classic home video" might be the earliest releases of Star Trek, which made the uncut episodes of the original series available on some 45 tapes... at the original price of $30 each. It was obviously for rabid fans only. 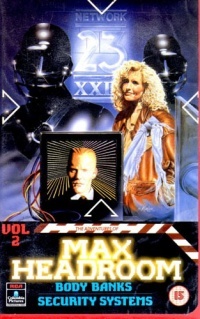 In any case, both of Max's owners in the era swung for the extra income and exposure sales on videotape could bring. An educated guess says that only the original telefilm release brought any significant income, because of its wide appeal, international distribution and self-standing nature. 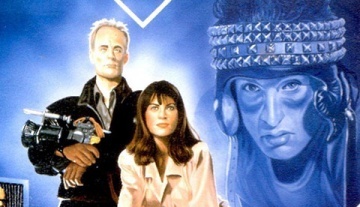 The original UK telefilm, usually retitled as "The Original Story." The six first-season episodes of the ABC series. A very rare compilation of highlights from the Channel Four/Cinemax talk shows. All other material found in private hands before 2010 was off-air recordings from the original broadcasts or otherwise bootleg. The second ABC season and the four seasons of talk/video shows were never formally released. Contributions of validated data and video recording images are solicited to expand this page! 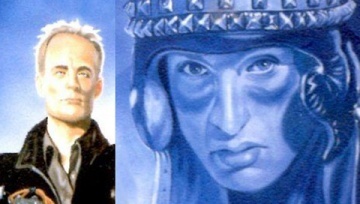 By 1985, Chrysalis Productions had packaged the original telefilm and released it on videotape. 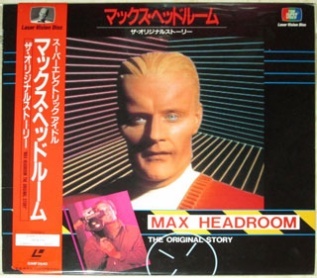 Besides the obvious UK and US releases, which were widely sold and can still be found in up to near-mint condition on eBay and other resellers, there were almost certainly other releases in other countries - both of the repackaged English-language tape and of subtitled versions. 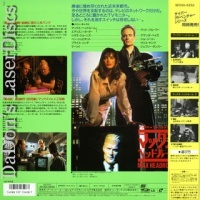 The US release is shown here, and is widely available from used tape resellers. I am still searching for a complete list and images of the international versions. 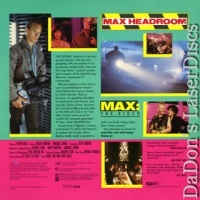 Laserdisc cover images here and below courtesy of Da Don's Laserdiscs. 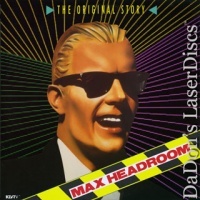 Find him online if you're looking for any and all laserdiscs! 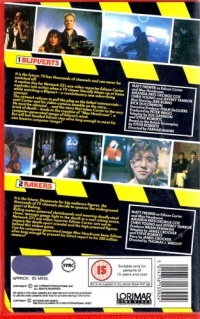 By the end of the first season of the ABC series, Lorimar had packaged the first six episodes and through parent/partner RCA, released them in a number of international editions. 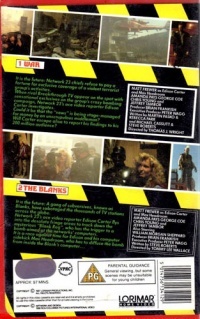 The set consisted of three tapes, each with two episodes on them. If any of the second season episodes were released by the original rights holders, there is no trace of them. 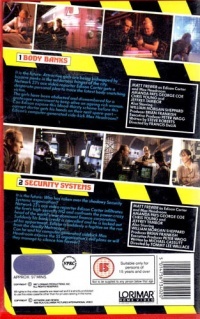 The UK release of the series is shown above. Don't look too closely at the artwork. I said, don't look too closely at the box art! Besides the US, UK, Norwegian and Japanese releases shown here, there are also references to a German release, which would make sense given the 1989 aftershock of German Maxness. I am also pretty sure I have seen other common language sets (Spanish, French, perhaps even Polish) but I haven't found any specifics yet. 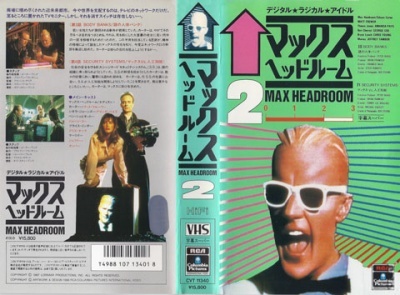 A Japanese videotape release, Vol.2. A Betamax release with one episode per tape is also known. 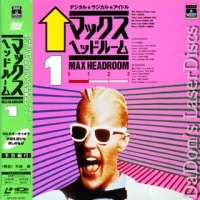 For reasons that are not clear but certainly revolve around (1) money; (2) the availability of rights to be sold; and (3) the rapid growth of the Japanese laserdisc market, there were a number of Max releases in Japan on high-quality laserdisc. 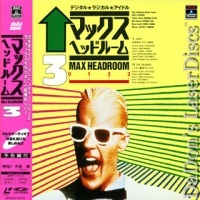 I have never been able to establish a specific level of interest in Max Headroom from a purely Japanese audience, but some video resellers clearly thought it worth the effort to produce expensive and fragile pre-DVD discs for them. For many years, these rare and expensive discs, which were not sold outside Japan (and could not be bought from authorized resellers for overseas delivery, making gray-market prices that much higher) and required costly players were the only way for Max fans to watch the material in high quality. 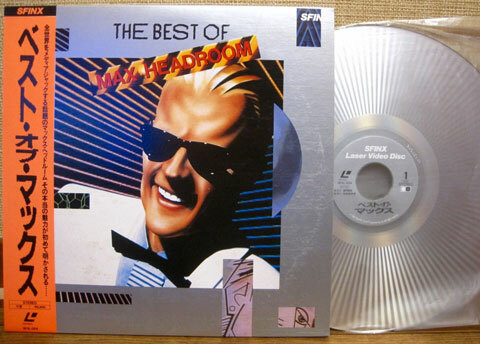 Laserdiscs, like their immediate successor DVDs, delivered crystal-clear 480-line video, equivalent to the best broadcast standards. 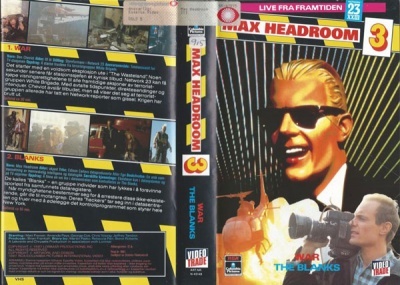 One of the prized possessions of Max fans in the long hiatus was a copy of this LD/DVD-quality version of the original telefilm, which could be purchased directly and new from a variety of sellers long after the other (US and UK) releases were out of print and rare. 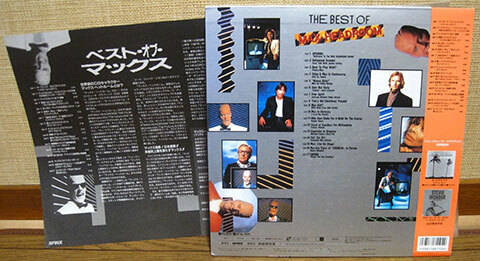 This release was also used to make some of the very high-quality bootleg editions. Japan was also the only country to get a high-quality release of the ABC series first season. 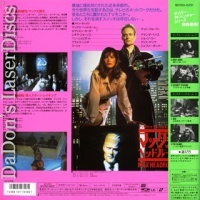 This unusual and very rare laserdisc is believed to be the only authorized release of any of the video and talk show content. It consists almost entirely of excerpts from the interview segments, wrapped in a loose "single show" format with an opening and closing. The list can be matched to the show listings. At some point, I'll do that. Shh. Wait until those two undercover-cop types in the corner leave. Then we'll talk. Doo de-doo dah, dah-dah-dah... dum de dum dummm... So. Have you seen "The Grasshopper Lies Heavy" yet? 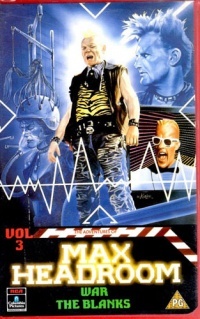 In 2010, Max finally came in from the Fringes and life among the Blanks with a studio-authorized, wholly legitimate release of the complete ABC series on DVD, with extras and features. Twenty-five years of waiting were rewarded with a very nicely packaged and produced set from Shout! Factory, one of the video houses that lovingly buys rights to and then makes available older, short and orphaned TV programs. While the production and presentation of the material is superb (aside from the odd misspelling like "Whackets"), the video itself is a bit soft and dull. The discs were mastered from the only complete copies of the show available, broadcast tape masters. The original film versions are considered "lost" by their owner, All3Media - and whether that means lost as in "discarded or destroyed" or lost as in "we couldn't be arsed to search our giant warehouse of old Channel Four stuff for them" is an unanswered question. The masters were sufficiently close to original, uncut material that they preserved Edison Carter's completely not-safe-for-broadcast expletive in "Body Banks." Good enough, I guess. The set is available from any reseller including Amazon.com at a very reasonable price. (In my opinion, fellow Blanks, if you ever owned a bootleg set of Max stuff, you really owe the system the cost of a legitimate set.) It includes all fourteen episodes in original edit, possibly pre-S&P review (as above), and a full disc of extra material. It does not include the original telefilm, which along with all the previous material remains locked in All3Media's vaults for... someday. I believe that my set, received shortly before the official release in August 2010, was sent to me as a promotional or review set, which I certainly appreciated. However, Shout! Factory has consistently failed to respond to inquiries and other correspondence from me over the years. Oh, well. This page was last modified on 2 March 2016, at 11:35.